Parents of young children want to be alerted to any health problems noted by friends, family or school personnel. This is as true for hearing and speech problems as it is for other ailments. In many cases, teachers and school administrators are the first to notice potential hearing problems because they are trained to look for the signs. Learning difficulties, speech problems and even resulting behavioral problems can occur when a child cannot hear. If your son or daughter has these symptoms, what is the first course of action? The best option to get answers to this question is to contact a pediatric audiologist at TOPs Hearing & Balance Center today. 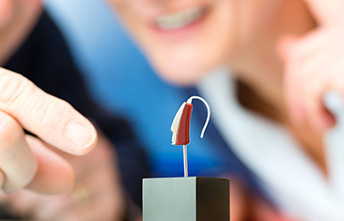 Just as the name implies, a pediatric audiologist tests, diagnoses and treats hearing and speech problems in children. 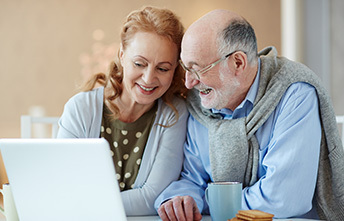 This healthcare solution, which includes infants, is a specialized service designed to check the hearing ability of patients who cannot generally express their hearing problems in words. Early intervention is key in dealing with childhood hearing deficiency. Pediatric hearing specialists help start a program that will boost the child’s school, social and family life, offering confidence and clarity to the mix. 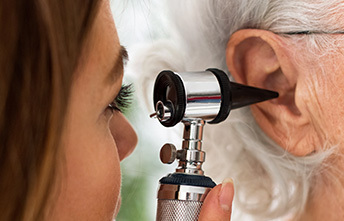 The audiologist has tools that help determine the exact hearing problem electronically. Behavioral tone testing: Children too young to verbally respond to sounds usually show they hear them by head movement, eye movement, hand movement and others. Speech testing: Children old enough to speak can respond to sounds with key words or other sounds. Children three and older can have this test. Middle ear function testing: These tests can detect disorders without a response from the child. Auditory brainstem function testing: Electrodes attached to the head measure the brain’s response to sound sent along the auditory nerve. This test needs no response from the child. The health visit to TOPs Hearing & Balance Center is much like any doctor visit. We will discuss the symptoms and problems before checking your child. The most likely first step is an appropriate hearing test. This is the best way to begin to solve hearing problems (if there is no hearing issue, this usually rules out hearing as the main culprit for learning problems). The results determine your next steps. Our personnel is trained to direct you every step of the way, showing you the results and determining the treatment plan. Call 281-920-3911 today for an appointment or with any questions. We are here to listen.